In context: Despite AMD's expected decline in revenue for first quarter 2019, Digitimes expects earnings to be propped up by AMD's increasing competitiveness in the notebook, motherboard, and server market. Additionally, AMD's forthcoming 7nm product stack is expected to drive much interest in AMD adoption among PC makers throughout 2019. AMD's market share has been growing with the success of Ryzen and Epyc. While some would scoff at AMD's 3.2 percent server market share with Epyc, that's not an insignificant feat for a company that previously held less than 1 percent not that long ago. That said, AMD has stated it expects 1Q19 revenue to dip quite a bit due to seasonality and sluggish demand for GPUs. However, Digitimes suggests that a sharp increase in demand for notebooks, motherboards, and servers will act as a buoy for AMD's sinking sales in the second half of 2019. AMD is expected to roll out its 7nm portfolio later this year, maybe as early as Computex, and many OEMs have turned to AMD-based solutions amidst Intel's shortage woes. Ryzen 3000's promise of higher core counts and an IPC increase are expected to attract even more interest from OEMs. The report also notes AMD gaining a foothold in the notebook market -- another segment in which Intel has been the gatekeeper. HP and Lenovo have been placing orders for Ryzen CPUs since 2018 and Digitimes states that Asus "have achieved better-than-expected sales" with its line of AMD-based gaming laptops. More importantly, Acer and HP rolled out the first ever AMD-powered Chromebooks, a big step forward in notebook adoption for AMD. "With the increasing adoption, AMD is expected to see its share significantly increase in the notebook market," Digitimes says. Alongside Zen 2-based Ryzen 3000 series is AMD's X570 chipset, which is expected to have positive effects on AMD's sales later this year. The X570 chipset is expected to be the first platform to adopt PCIe 4.0 and be backwards compatible with previous Ryzen processors. "Because of the platform's strong price/performance ratio, many motherboard players have increased the shipment proportion of their AMD 500 series-based motherboards, which is expected to boost AMD's share in the desktop market in the second half," the report says. AMD's GPU business is in somewhat of a strange place. As many of you have noted, when AMD was losing ground with CPUs during its Bulldozer days, its GPU business was strong. Now with Ryzen, AMD's CPU business is better than it's been in years, but its GPU business keeps missing the mark. Some analysts note AMD's GPU market share is approaching a new low. With the Navi architecture, there's hope that AMD will balance the lopsided scales between its CPU and GPU business and shift some power away from Nvidia. Although, whether AMD's Navi-based gaming cards will satisfy enthusiasts is another avenue entirely. 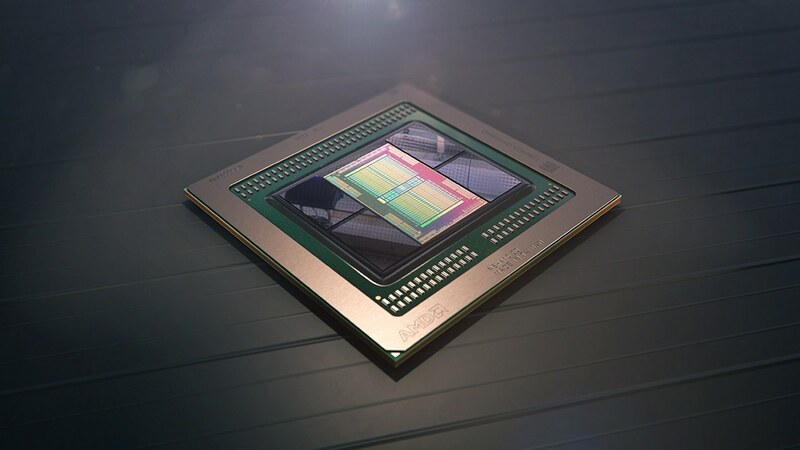 Still AMD's GPU prospects look good as it is set to deliver another semi-custom solution for both Sony's and Microsoft's next consoles as well as Google's Stadia. Both should help drive and diversify AMD's graphics profits later in the year, as Digitimes notes that currently AMD is relying on the data center for its GPU profits.